Broadly understood, East Asia comprises Hong Kong, Japan, Mongolia, North Korea, South Korea, Malaysia, the People’s Republic of China, the Philippines, Singapore, Taiwan, Thailand, and Vietnam. This is a highly problematic and diversified region in which different political, historical and cultural legacies contribute to the establishment of highly differentiated political economies with associated patterns of public welfare and security. In contrast to the Eastern European and, to some extent, also to the Latin American case, different political economies play a more residual role in protecting the citizens from old and new social risks. A particular focus of interventions in the social policy domain has, in fact, been centered to improve the human capital formation of the populations (Haggard and Kaufman 2008), but, often, this has occurred without an adequate job creation. With regard to the special case of North Korea, institutional legacies and socio-technical advancements in the military sector play a more important role in determining the future patterns of system modernization and transformation. They also produce important consequences on the emerging distributive outcomes and conflicts (Haggard and Kaufman 2016). Regime type is also in this occasion a far from irrelevant factor in shaping the direction and timing of change (Pierson 2004), altering, sometimes in very dramatic ways, the system of vertical and horizontal inequalities (Stewart 2008) with associated political and social conflicts. The most emblematic example is represented by the emergence of new inequalities arising side by side a significant economic growth. To what extent does the North Korean political economy contribute to system (in)stability? This is an even more complex and difficult to address question, as several co-influencing factors (such as positive and negative economic performance, development of vulnerabilities and strengths in the global economy, etc.) exist. A highly clientelist approach to public security has not produced the long-term expected positive results. It has only succeeded to ensure short-term social peace. More contradictory universal aspirations have been maintained, but even in these cases the long-term system stability remains a chimera also in the face of future waves of democratization. 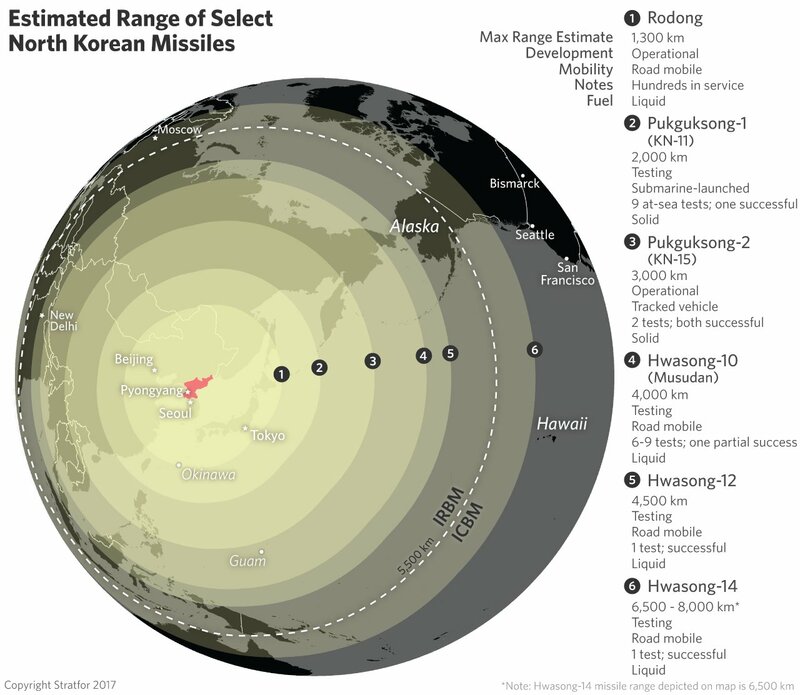 It is estimated that North Korea already has approximately 60 nuclear missiles, much less than the 6,800 nuclear missiles of the United States and the 7,000 of the Russian Federation (Source: WEC 2017). As portrayed in Fig. 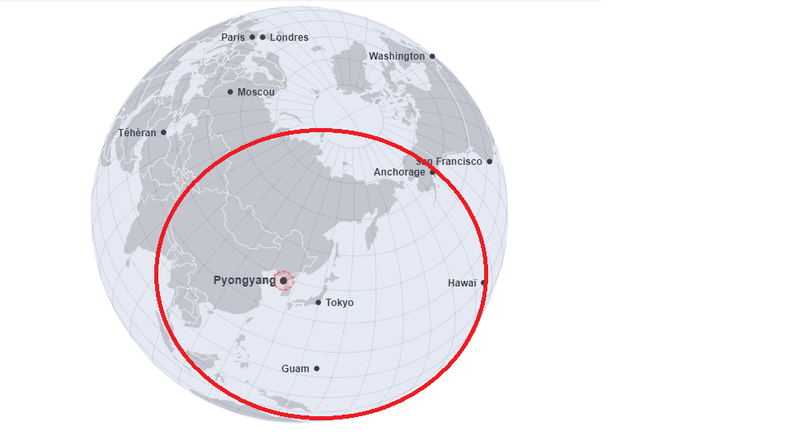 1, the range of North Korean ballistic missiles should not reach the Hawaii, though some other more recent tests could soon contradict this statement, making the Hawaii no more a safe place for surfers (see Hwasong-15 in Fig. 2 and Fig. 3). As in the case of the USA-Soviet Union space race of the 1960s, these are expensive political exercises that in some way have to be financed. Funds can only be raised at this point either from a reduction in expenditures for those policies indirectly aimed at subsidizing the economy and, hence, at raising living standards (such as price subsidies or subvention to modernize the firms) or, as last resort, from an increase in external debt. The latter is, clearly, not a feasible option because of the embargo. 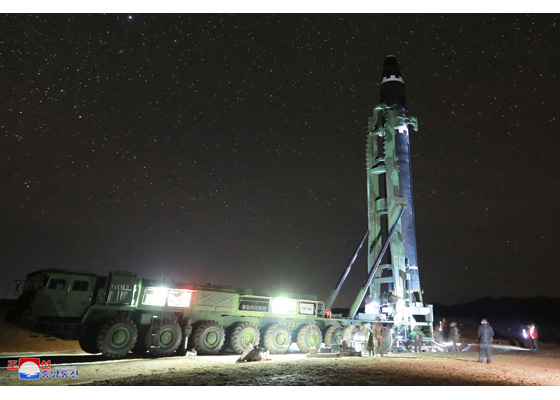 The third and the last remaining possibility is linked to a continuous increase in military production and exports, which seems to be the one preferred by North Korean authorities. Since most of the population relies on several sources of income, what happens if a war explodes? Will foreign powers succeed to ensure sufficient living standards to the population without creating new forms of exploitation? Will their range and anger be refrained from gaining advantage over innocent civilians? Will the Russian Federation become North Korea’s new partner, replacing China’s privileged trade relationships? What will the repercussions be for democratic transition and consolidation? The history of transition from communism to democracy has, unfortunately, shown a different picture, as several problems of system transformation remain, after 28 years of transition, still unaddressed (see my blog post here). Here, not only The Exclusive Origins of Dictatorship and Democracy in system transformation must be taken into account, as previously argued in Cerami (2013), but also The Inclusive Origins of Dictatorship and Democracy must be considered with their associated problems of democratic consolidation.